Word 2007, with all its improvements, is still about making your life with documents a breeze. 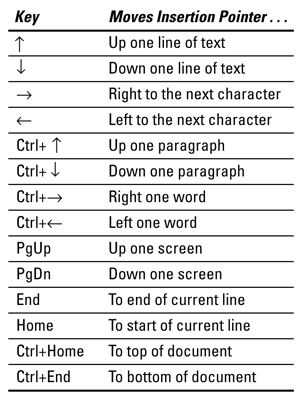 The shortcuts in the following table help you navigate around a document with the press of a key — maybe two. And what’s easy-breezier than that?